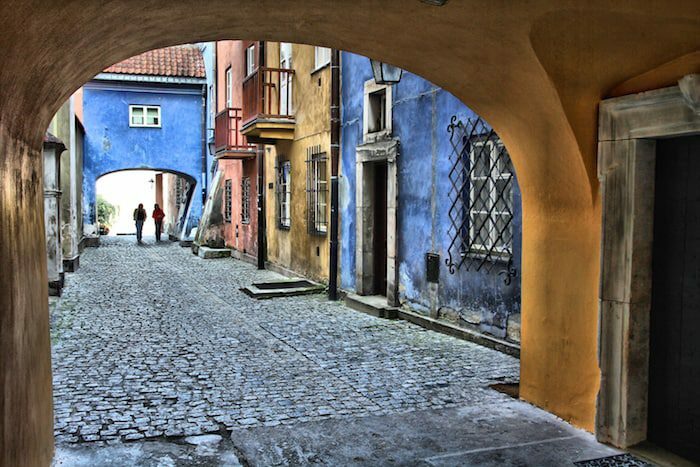 Travel to quaint places like Old Town street in Warsaw, Poland while still receiving Social Security benefits. No one really knows how many US citizens live overseas. It’s just too difficult of a number to calculate. And calculating the number of retirees living overseas is even more difficult. One expert guesstimates that there are 1.4 million US citizens currently living overseas. If that’s true, there are quite a few overseas retirees living without a benefit they could still receive from Uncle Sam’s coffers: Social Security. The latest data available shows that in 2013 roughly 373,224 retirees received Social Security checks overseas. Those numbers are up by more than 100,000 from ten years previous, but I can imagine that there are many retirees who simply assume that living overseas means forfeiting your Social Security payments. 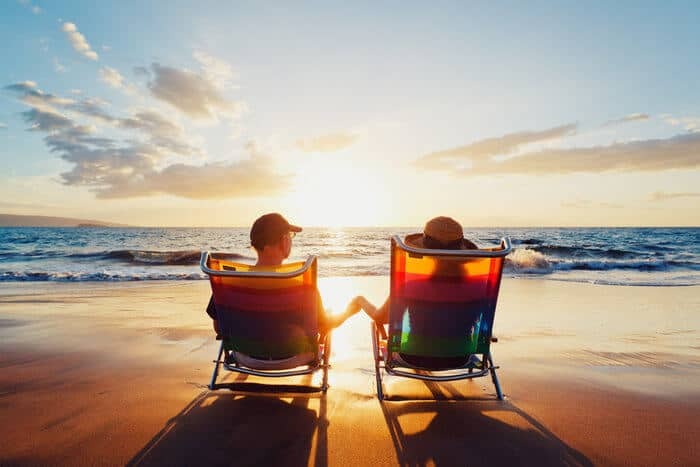 This is good news for many retirees who have dreamed of retiring beyond the shores of the United States. And now’s one of the best times to live overseas with the strength of the dollar making everything else considerably more affordable. But what exactly do you have to do to get that check in the mail on the other side of the world? What does it mean to be outside the United States? The first thing to clarify is what it actually means to be outside the United States. 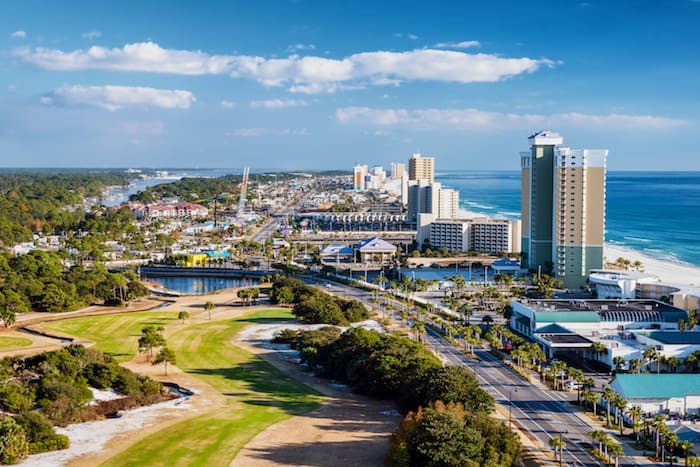 It may be obvious that you’re not living in the United States if you no longer reside in one of the 50 states, but there are a few exceptions and rules you may not know about. First, if you are in the District of Colombia, Puerto Rico, the U.S. Virgin Islands, Guam, the Northern Mariana Islands or American Samoa, then you are also considered to be living in the US — at least in terms of qualifying for Social Security payments. If you are outside any of these locations (or the 50 states) for more than 30 days in a row, then you are considered to be outside the United States. Anything less than that and you have nothing to worry about. If you do not meet one of the conditions for continued payments, your Social Security payments will be cancelled after six full calendar months of residency outside the US. But don’t worry, once you go back to the US and stay for at least 30 consecutive days, your payments will start back up again. However, chances are that you are eligible to receive payments outside the United States no matter how long you choose to live as an expat. As long as you meet the conditions for payment, you can receive Social Security payments wherever you roam. In fact, the US provides Social Security services directly at embassies and consulates in 34 retiree-friendly countries from Hong Kong to Mexico, and Israel to Norway. The Social Security offices at these locations offer services such as taking applications and delivering payments. So what exactly do you have to do to maintain your eligibility to receive Social Security payments? The first step is to provide clear and honest information to the SSA. If you are living outside the United States, you will periodically receive a questionnaire that will determine if you still qualify for benefits. You must report any change of address, work outside the US, if you return to work, if a disability covered by SSA improves, marriage, divorce or annulment, adoption of a child, if a child leaves the care of a spouse, whether you have a child nearing 18 who is a full-time student or disabled, death, inability to manage funds, deportation or removal from the US, changes in parental circumstances, and eligibility for a pension from work not covered by Social Security. Failure to accurately complete, sign, date and return the questionnaire can be penalized with a fine or even imprisonment, so be sure to get all your facts straight. If you do not return the questionnaire on time your payments will stop. You should also contact SSA directly (whether in person, by mail or by telephone) for any important changes that could impact your payments. While you can receive your Social Security payments almost anywhere in the world, because of US Treasury regulations there are a few exceptions. Curiously, many of the countries where you cannot receive your benefits without an exception are ex-Soviet countries. These countries include Azerbaijan, Belarus, Georgia, Kazakhstan, Kyrgyzstan, Moldova, Tajikistan, Turkmenistan, Ukraine, and Uzbekistan. Note: A qualified representative payee is a designated person who receives U.S. Social Security payments on behalf of a Social Security beneficiary, usually because of the beneficiary’s age, poor health or disability. If you are living in Cuba or North Korea, however, no such exceptions exist. The SSA informed us that “payments are not paid to persons residing in these countries unless they are granted a special license issued by the U.S. Treasury’s Office of Foreign Assets Control.” They did not specify how such a license is obtained. The good news is that, even if you don’t qualify for an exception, you can get all the payments that were withheld while you were in any of these countries once you are in a country where the SSA can send payments. Now, my parents always say that they could never go to Georgia because they wouldn’t be able to get their Social Security there. However, if they go through the approval process, it shouldn’t be a problem. Still, it will be more difficult, even if you have your Social Security payments set up as a direct deposit to a US bank account. Despite this restriction, I would still recommend having a bank account in the US with one of the few quality US banks. Though most US banks are deplorable, I have a couple favorite banks that I recommend because they actually cooperate with people who operate internationally. If you’re going to be getting Social Security while living overseas — or any US source income — you should still probably have a US bank account. Just make sure it’s a quality one that gives you good ATM access, good online banking and they’re not going to freak out if you try and use an ATM somewhere or log into your online banking from Romania. Get a bank that understands that you’re international. Once you do that, you can set up direct deposit to your account and you never have to worry about a check being delayed because of the country where you’re traveling. You’ll also receive your payment much faster and could potentially avoid check cashing and currency conversion fees. You can also set up direct deposit to a bank account in outside the US, although not all countries qualify. You can check here to see the countries with which the United States has an international direct deposit agreement. Another important thing to note is that your Social Security payments will be taxed as US-source income no matter where you live or where you receive your payments. It follows the same taxation principles as if you owned a rental property in the United States — it’s their turf. The reason people save money on taxes by going offshore is because they are actually running businesses and investing overseas. Retiring overseas and hoping you can save on taxes on your Social Security benefits isn’t a justifiable wish or reasonable possibility. Obviously, I don’t agree with the US policy that says my rental property in Tbilisi, Georgia can be taxed in the United States. The US is the only country that does that. In every other country you can follow the non-residency procedures and get out. However, the argument that justifies such a disagreement is that the work is done and the income is earned somewhere else. I can argue that properties in Tbilisi, Georgia should only be taxed by the Georgian government, or that a company set up a in Hong Kong should only be taxed in Hong Kong, but there is no reason to complain about Social Security benefits being taxed by the US government. Social Security is inherently US-sourced income, so of course they can and will tax it and it will be subjected to any rules that exist. So how exactly will it be taxed? 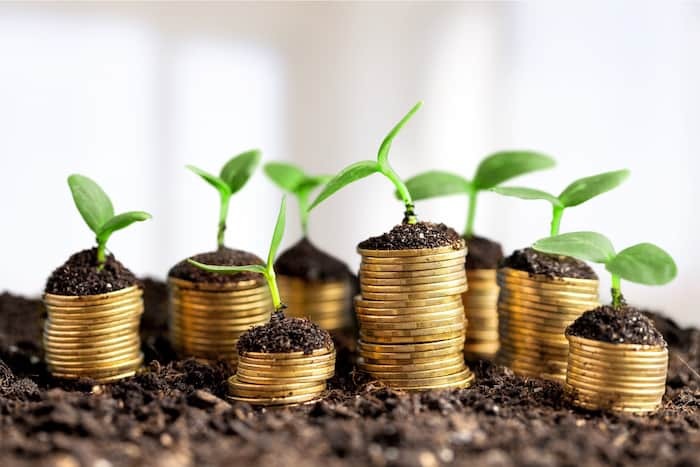 For retirees, your combined income is your adjusted gross income plus nontaxable interest plus either 50% or 85% of your Social Security benefits, depending on how you file. If you file as an individual and your combined income is between $25,000 to $34,000, you could pay taxes on up to 50% of your benefits. If your combined income is over $34,000, you may pay taxes on as high as 85% of your benefits. If you file a joint tax return, you could pay taxes on up to 50% of your benefits if the combined income of both you and your spouse is between $32,000 and $44,000; and up to 85% if your income is over $44,000. Finally, many foreign governments will tax your Social Security payments as well, so if you plan to live in another country be sure to contact the country’s embassy in Washington D.C. for more information. The last thing to take into account is the relationship between Medicare and Social Security, particularly in relation to living overseas. Because of an administrative act passed by the Clinton administration, there has been some confusion about whether a senior would lose Social Security benefits if they were to refuse Medicare. The confusion comes in understanding what it means to refuse Medicare. The US Medicare system is broken down into several parts that cover different services. Part B, for example, provides medical insurance and requires that you pay a premium to receive coverage. Part A, on the other hand, covers hospital insurance and is free for those who have paid Social Security taxes for at least 10 years. To maintain your Social Security benefits — no matter where you live — you must remain enrolled in Medicare Part A. Doing so will not extend any insurance benefits to your overseas healthcare costs (because Medicare will not cover health services you receive outside the United States), but it will ensure that you continue to receive Social Security payments. Since Medicare Part A is free, continuing your enrollment shouldn’t cause any more trouble than the hassle of ensuring you’re still signed up. Plus, if you return to the US, Part A coverage automatically becomes available to you again. However, know that if you drop Part B while living overseas but decide to sign up again when you return, you will pay a 10% higher premium for each year you could have been enrolled. If you’ll be living overseas on a permanent basis, consider eliminating the Part B premium. If there’s a possibility that you’ll eventually return to the US, it may be worth it to maintain coverage. For information on managing your overseas health insurance, be sure to check out these articles. For those of you who are a few decades shy of retirement, I would suggest you consider whether or not you even want to deal with Social Security. While you may enjoy getting a check from them every month, at the end of the day the Social Security Administration is just another inefficient government entity. If you don’t plan to live in or participate in the system now, why depend on it in your senior years? If you’re young and haven’t been handing over part of your paycheck to the government for that long, perhaps this is the perfect time to say goodbye. If it’s this hard to get help from the SSA, maybe you should just find a legal loophole to not pay into the system at all and put that money toward your own retirement. Move your affairs overseas, reduce your tax, and then use the right structure to eliminate Social Security tax because they’re not going to be there for you. It’s going to be a lot less frustrating. Believe me, I don’t waste time with people who make things difficult anymore. I’m not going to be chasing after some government to give me my money when I’m 70 years old. If I allowed myself to get caught up in everybody else’s nonsense and chose to deal with the difficult people, I wouldn’t enjoy the success I do today. When a vender of any kind doesn’t make things easy, I walk away. When I tell someone I want to see their land and they ho hum about it, I just say goodbye. You can’t deal with that. So are you going to deal with the Social Security administration? If you’re young, forget it. Move your affairs overseas, figure out how to set up your offshore company, do it the proper way, and then save your money and put that 12.4% somewhere else. What happens to money collected as taxes (specifically social security) when, like a growing number of Americans, one renounces his American citizenship? Your numbers may be way off. My mother moved to Hong Kong but the US government doesn’t know it– or doesn’t *officially* know it– as she still has a mailbox account in the USA and uses a US address and US bank for receiving her Social Security benefits. I suspect there are others like her.